On 15 October in St Petersburg, Russia, the Food and Agriculture Organisation of the United Nations’ (FAO) Aquaculture Sub-Committee agreed to the creation of the Global Aquaculture Advancement Partnership (GAAP). This partnership is good news for aquaculture, including the farming of fish, shellfish and aquatic plants, because it will ensure continued development of this global industry. GAAP will bring governments, UN agencies, NGOs and the private sector together. Subject to approval by the FAO Committee on Fisheries in June 2014, it aims to enable the industry to meet the growing demand for fish in a sustainable manner. Aquaculture producers currently supply 47% of food fish globally. It is the world’s fastest growing food production industry; this year it overtook beef for the first time. The EU’s dependency on seafood imports is high, currently accounting for around 70% of our consumption. However, aquaculture growth rates are slowly beginning to decrease in Europe. The reform of the Common Fisheries Policy is intended to boost European aquaculture and help increase the sector’s production and competitiveness. A change in law may help improve the European aquaculture industry. Since 1 June this year, fish feed companies have been able to include a wider variety of animal products in their source proteins. This can help take the pressure off stocks of wild fish that might be used otherwise. The Commission has now allowed non-ruminant processed animal proteins (PAPs) to be used in fish feed. Ruminants are animals whose stomachs have several chambers, like sheep and cows. Non-ruminant animal proteins may come from poultry and pork to replace protein in feed that is currently sourced from fish and soya. Those processed under high EU standards have been cleared as ‘safe’ by the European Food Safety Authority (EFSA). Including animal protein in fish feed may also increase the sustainability of the EU aquaculture industry. Carnivorous aquaculture species, such as salmon, require a diet very high in protein and the conversion ratios of wild to farmed fish tend to be high. This means a lot of wild fish is required for a relatively small amount of farmed salmon. Fish meal can be made solely from wild-fish, or in combination with by-catch or fish trimmings. There was a seven-fold increase in the global capture of wild fish for fish meal and fish oil production between 1950 and 2007 due growth in the aquaculture sector. With the FAO recently estimating that 57.4% of fish stocks are fully exploited, and another 29.9% over-exploited, increasing fishing pressure is not the solution. Animal proteins may provide a suitable alternative, alleviate fishing pressure on wild species and increase the overall sustainability of EU aquaculture. Consumer acceptance of fish fed on animal protein may nevertheless be limited, and this decision has not met with universal acceptance. This is despite many imported farmed fish consumed in the EU being produced in areas that do use animal protein in their feeds. Alternative sources of animal protein are also being investigated. Recently, a number of enterprises looking into developing insect based feeds have started up. Insects represent a more ‘natural’ source of protein so consumer acceptance may be higher. Results so far suggest they are a viable replacement for at least 50% of the protein in a fish meal-based diet. 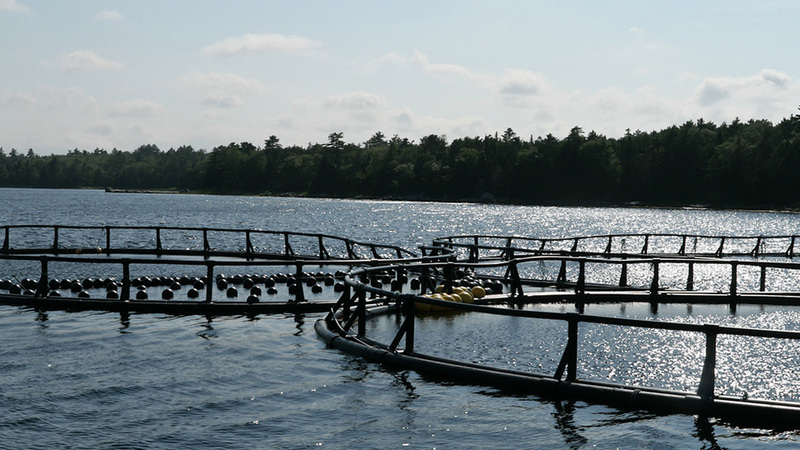 Costs are still too high for commercial use in the aquaculture industry, but may be reduced following increases in the scale of manufacture. Another unusual alternative being researched by chemical engineers in Scotland are co-products from whisky manufacture. Our SSC members are working together towards harmonised labelling and the responsible sourcing of fish and seafood through voluntary codes of conduct. This blog was updated on 14/12/2016. This entry was posted in News on October 25, 2013 by Katie Miller. The Intergovernmental Panel on Climate Change (IPCC) recently released its 5th climate assessment report and it spells bad news for our oceans. The IPCC is the principal international body responsible for assessing information on climate change. Since their last report in 2007, evidence for human influence on atmospheric and oceanic warming and sea level rise has increased. The IPCC consider it ‘extremely likely’ that the dominant cause of atmospheric and oceanic climate warming is a result of human influence. The report includes information on changes in ocean temperatures from 1971 to 2010, as well as future predictions. Work has been done to compensate for problems in historic records of ocean temperatures, lending support to the IPCC’s findings. It is ‘virtually certain’ that the upper ocean, from 0-700m, has warmed over the last 40 years. The temperature of the upper 75m of the ocean increased by 0.11°C per decade over this period. Furthermore, the IPCC findings indicate that it is ‘very likely’ that human actions have contributed significantly to the warming observed in this part of the ocean. The report also predicts continued ocean warming globally throughout the 21st century, with an increase of up to 2°C in the top 100m of the ocean. This increase will result in higher ocean temperatures than have been seen in the past 420,000 years, threatening to make extinct species that are sensitive to temperature changes, such as corals. Ocean warming combines with other consequences of climate change such as ocean acidification, changes in ocean circulation and sea level rise, to affect the oceans’ ecosystems. The trends shown by the IPCC are already extremely worrying, but a report published by the International Union for Conservation of Nature (IUCN) and International Programme on the State of the Ocean (IPSO) states that the severity of the risks presented by climate change to the ocean and its supported ecosystems remain underestimated. 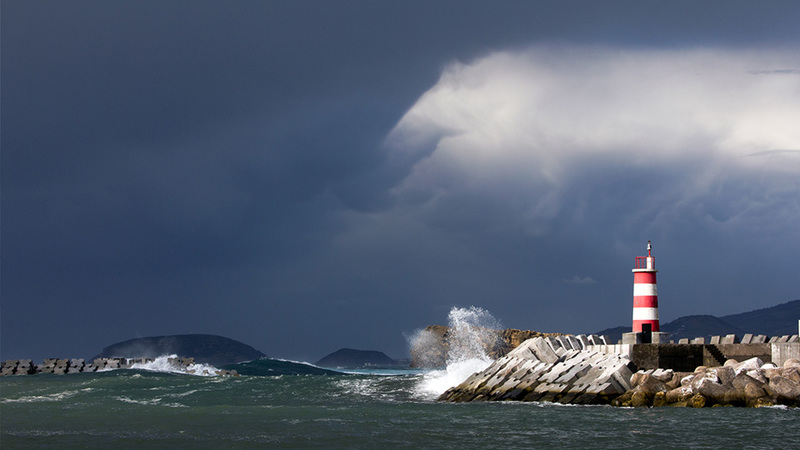 Combined interactions between various aspects of climate change are likely to result in a greater threat to the health of the oceans than individual impacts. It is not certain exactly how fish populations will change around the UK but some effects of climate change have already been seen. Scientists have observed that two-thirds of North Sea fish have shifted distributions in the past 25 years in response to warming sea temperatures. Climatic variation may also hinder recovery of species vulnerable to over-fishing. This makes promoting sustainability in fisheries even more important. The declining trend of many of the world’s fisheries demands innovative action to counteract the combined pressures of climate change and overfishing. The SSC is working towards a sustainable future by creating voluntary codes of conduct to standardise labelling and encourage responsible sourcing of seafood. Find out who is a member of the SSC. This entry was posted in News and tagged climate change, IPCC, ocean warming on October 11, 2013 by Katie Miller.